As you would know by now, I am fond of paneer (cottage cheese) and lose no opportunity to try out new dishes using this ingredient so popular in vegetarian homes in India. 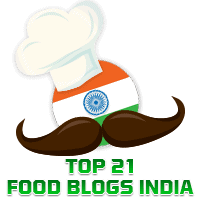 Elsewhere in this blog you will find recipes for Methi Paneer, Paneer Kolhapuri, and Paneer Jhalfrezi. Today's recipe for Paneer Korma is adapted from the one shared by my friend Usha Bhat in a food group she manages in which I am a member. We thoroughly enjoyed this dish which can be served as a side with the main meal and also goes well with rotis, naans etc. Serve with hot rotis or chapatis.